Newer: » Coral Reef Ed-Venture is back! 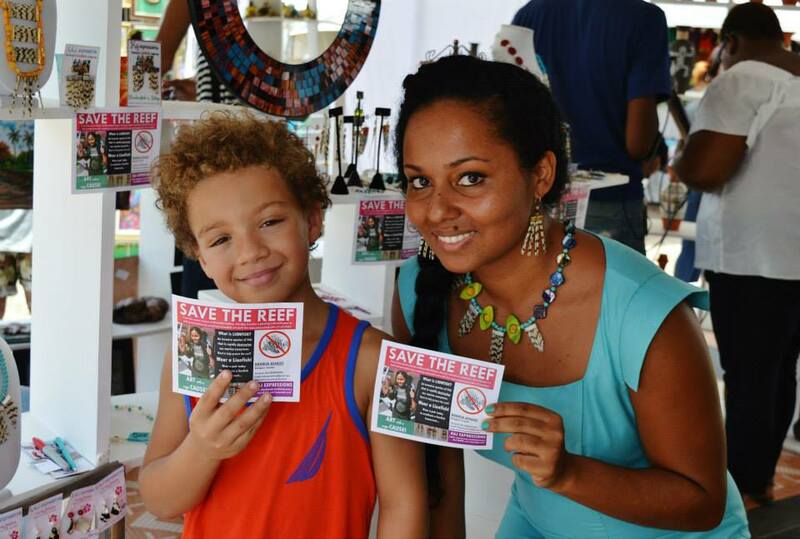 Belizean jewellery designer Khadija Assales may have raised a few eyebrows with her collection crafted from the tails of the notoriously ravenous Pterois or Lionfish but she was also successful in raising awareness about the devastating effect that the carnivorous species have been having on the aquatic ecosystems of Belize and the rest of the Caribbean region. Assales launched her line of Lionfish jewellery as part of the Design Caribbean pavilion during the Calabash Literary Festival in Treasure Beach , St. Elizabeth , Jamaica from May 30th to June 1st. 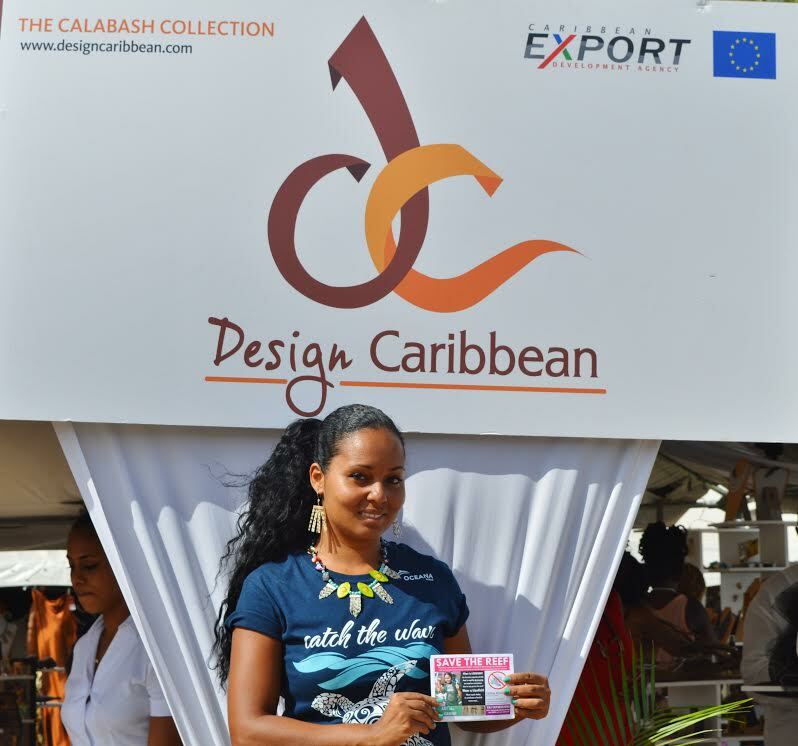 The Design Caribbean project was the brainchild of the Caribbean Export Development Agency (Caribbean Export) in sponsorship of the Calabash Festival. It was conceptualized as a means of showcasing the rich and varied talent which the region has to offer while opening up a new market for the creative entrepreneurs who may not otherwise been able to take advantage of the opportunity which Calabash provides. Caribbean Export recognized the Calabash Literary Festival as an ideal platform for artists who produce exceptional craft as the festival has been serving this purpose for writers, musicians and visual artists from across the island and the world for the past twelve years. As a result, the festival has become the most elite literary festival and cultural event in the English-speaking Caribbean and it continues to grow in appeal and reach by leaps and bounds each year of its staging. The artisanal plaza, which has become a fixture in the festival’s offerings, presented the ideal setting for a conglomeration of artists from across the region to take Brand Caribbean to the world. Assales eagerly submitted her application for participation in this venture not only to promote her brand, Kaj Expressions but specifically to drive her awareness campaign forward through her innovative pieces. The entrepreneur not only manipulates the projectile materials and their flattering accents by hand, she has also learned to scubadive and to spearfish specifically to catch the creatures. Her proactive and passionate approach to environmental protection was contagious and she swayed many visitors to her stand to try on the dramatic pieces. The striking and intimidating appearace of the zebra-striped lionfish does not belie its nature. The species has staged an veritable invasion and cou of many of the region’s reefs, severely impacting the fish populations and, in many cases, endangering certainin species which are not given a chance to procreate and to replenish their populations. In the meantime, the domineering species reproduces at astounding rates, thus aggravating the problem. This endemic situation has become a topic of national concern in islands likeBelize and Barbados, where interventions have been staged in order to not only raise awareness but to circumvent the effects of the Lionfish’s dominance. Action has been taken by both public and private sector parties in the form of Lionfish spearfishing derbies, cook-offs and informational media production. However, a lot of the societal perception of the fish has yet to bealtered and it is the attitudes of the total populace that must shift before real change can be seen. Caribbean Export is a regional export development and trade and investment promotion organisation of the Forum of Caribbean States (CARIFORUM) currently executing the Regional Private Sector Programme (RPSDP) funded by the European Union under the 10th European Development Fund (EDF) Caribbean Export’s mission is to increase the competitiveness of Caribbean countries by providing quality export development and trade and investment promotion services through effective programme execution and strategic alliances. The San Pedro Sun has been following Khadija Assales‘ work for quite some time. With a seemingly endless fount of creativity, Khadija is always adding new pieces to Kaj Expressions, her signature line of handmade jewelry. Originally from the Southern peninsula village of Placencia, Khadija is twenty-seven years old. She is the proud owner of Treasure Box, a jewelry boutique. For Khadija, the craft of jewellry making started early on in her childhood at ten years old. She fondly remembers her summer stays in Sorrento Maine, USA where she fell in love with the art of jewelry making. So what is it about Khadija’s artwork that has everyone making noise? With the purchase of a single piece of jewelry from her Kaj Expressions‘ Lionfish collection, you aid in getting a Lionfish out of our waters.